Not a lot of big news for this summer 2012. BMW adds touch controls to iDrive. BMW becomes the second car-maker (after Audi) to propose wheel button with touchpad. 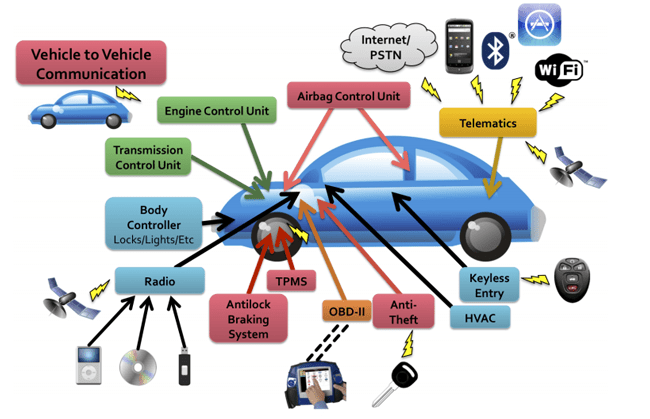 Intel sets teams on thrawting car hackers. If your laptop crashes, you will have a bad day, but if your car crashes that could be life threatening. TomTom officializes deal with PSA. After Renault, PSA becomes the second french car-marker working with Dutch navigation provider. TomTom announces HD Traffic upgrades and BMW partnership. TomTom GoLive will be integrated in BMW 1, 3, X1 and X3 series. EB GUIDE 5.3 is out. The main new feature is the support of OpenVG.